Posted by Charis Renai Royal in Microbe Monday! Yersinia pestis is one of the most infamous microorganisms in the world- known commonly by the disease it causes: plague. The plague is first recorded during the Byzantine Empire during the reign of Justinian I, during 541 A.D. and continued to outbreak over the next 200 years, leaving over 25 million people dead (Rosen, 2007). Most commonly known for sweeping through the Old World during the Middle Ages and known as “The Black Death”, plague is on of the scariest infections in history. Starting in China during the 1300’s, this outbreak spread across trade routes and decimated an estimated 60% of all European populations (Benedictow, 2008). More recently, during the tail end of the 1800’s, plague was carried by ship routes throughout the world and had a 10 million mortality. The disease is carried by small animals such as rats, mice and squirrels, and jumps to humans through bites from fleas. 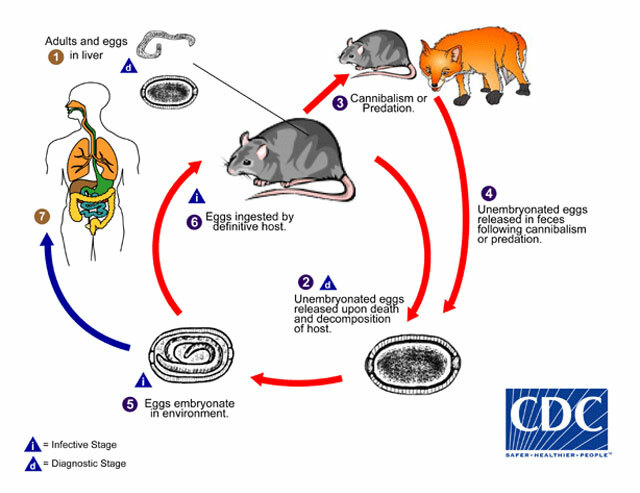 The availability of small animal hosts quickly enables the transmission to a host of populations through carrier-mediated transmission. Bubonic– characterized by sudden onset of fever headache, chills with tender lymph nodes. Results from the bite of a flea and localized to the nearest lymph nodes. If not treated, can spread to the rest of the body. Septicemic– symptoms include fever, chills, abdominal pain, shock and bleeding into skin and organs. Skin and surrounding tissue may become necrotic (dead) and turn black. Transmissible from a flea bite or handling infected animals. Pneumonic– symptoms include fever, chills, weakness and a rapid onset of pneumonia with secondary symptoms of chest pain, coughing and bloody mucous. Transmissible through inhaling infectious droplets, or from untreated bubonic or septicemic infections. Plague vaccines were available, but were decommissioned. Currently, there are several different kinds of vaccines being developed but none available for use! Plague is considered to be one of the first uses of bioterrorism- many invading armies would catapult bodies infected with plague into cities to kill the opposition. Some historians attribute social upsets to the plague such as the Fall of Rome, the beginnings of the Renaissance and lost of influence of the Catholic Church leading to Protestantism. Benedictow, Ole J. 2004. The Black Death 1346-1353: The Complete History. Woodbridge: Boydell Press. Khan, I. A. (2004). Plague: the dreadful visitation occupying the human mind for centuries. Transactions of the Royal Society of Tropical Medicine and Hygiene, 98(5), 270-277. Rosen, William (2007), Justinian’s Flea: Plague, Empire, and the Birth of Europe. Viking Adult; pg 3; ISBN 978-0-670-03855-8.